Hamm is a german city in North Rhine-Westphalia, located in the eastern part of the Ruhr area. 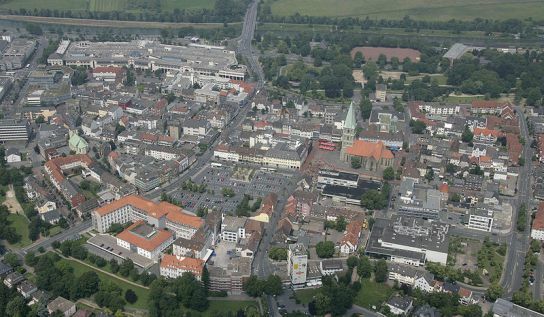 The population of Hamm is about 180.000 inhabitants, living on a surface of approximately 226 square kilometers or 87 square miles. The population density of Hamm is therefore about 800 inhabitants per square kilometer or 2.080 inhabitants per square mile. The city of Hamm is divided into the seven districts Bockum-Hövel, Hamm, Heessen, Herringen, Pelkum, Rhynern and Uentrop. The average altitude of Hamm is 63 meters above sea level. Through the charter coach service Hamm Bus, you can rent buses and minibuses for transfers within Hamm as well as for transfers anywhere in the Ruhr area and for international bus transfers in Europe. Furthermore, we do offer sightseeing tours and excursions to North Rhine-Westphalia and other parts of Germany as well as coach travel to all of Germany and entire Europe. Also, Hamm Bus is particularly specialized in the organisation of airport transfers by bus or minibus to and from the airports of Paderborn, Münster, Dortmund, Düsseldorf and Cologne/Bonn. or to hear from you at +49 172 83 44 164. Having received your motorcoach rental request, we will gladly advise you about bus and minibus rental in Germany and quickly provide you with an offer for your individual bus transfers, coach tours and sightseeing excursions.